* * Note: It has a set collar (TALISMAN necklace). If you want to purchase the two pieces, we inform you beforehand to deactivate the shipping costs on ETSY, which will run to our account. 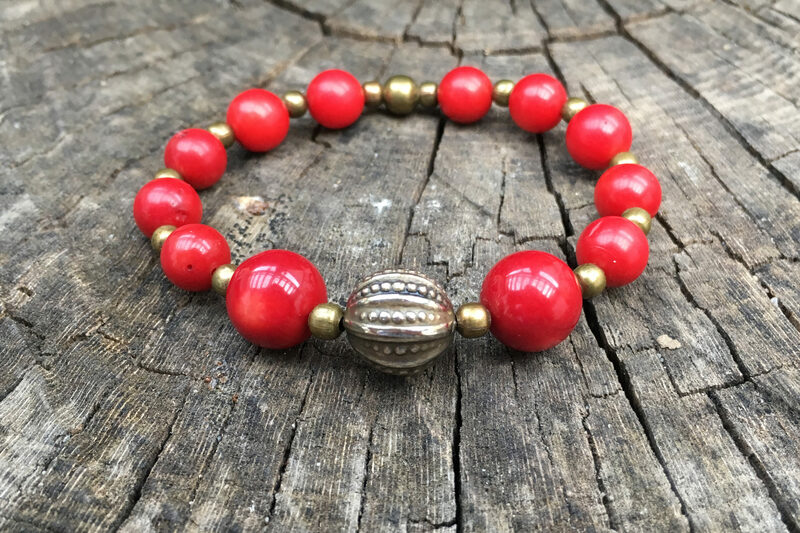 Bracelet with red coral beads (8 I 10 mm) with silver and copper beads. Coral is a marine organic gem. All types of coral have clefts, stripes or stains characteristic of these organisms. Away from envy, sickness and selfishness. Protects against the evil eye. Source of life. Harmony. Red, orange and white gem.